Keeping up with its commitment to innovate and finding better perimeter fencing solutions, Fence introduced a woven wire mesh fabric which is, at the same time, more cost efficient and stronger than conventional chain link fence. 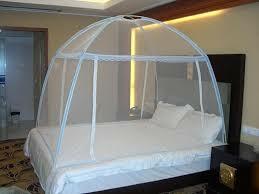 Owing to the neat honeycomb structure this mesh makes, it called Honeycomb Fence. To counter this disadvantage, Fence made a small change, and made the two adjoining wires twist with each other five times, and this results in a structure close to hexagon than a rhombus. These 5-twists result is strong woven structure, and even a few cuts to the fence fabric do not allow complete disintegration. The same property also lends more strength to the fence fabric even in a smaller wire diameter, thus, with less steel one gets a stronger structure. Total Fence Products Company Pvt. 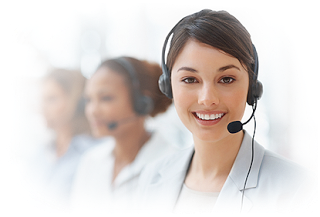 Ltd. is committed to provide reliable, cost effective solutions in the field of access automation. Total Fence is continually seeking to update its products in line with world trends to ensure that its services will provide customer satisfaction. 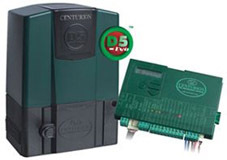 Total Fence are recognized distributors forCenturion range of gate motors and automation products. Total Fence is the leading barbed wire manufacturer and exporter in India. Barbed wire fencing is perhaps one of the oldest forms of fencing, made out of steel wire. Even today, barbed wire is one of the most sought after fencing solution for farms, agricultural lands, residential apartments & commercial premises. It is of great utility in topping high security fencing like Anti climb mesh, or by itself where, the intent is to keep away the cattle. Fence manufactures barbed wire fence in various specifications. The most conventional is the double stranded line wire with the barbing wire (4 point Iowa type) at a certain pitch. Zinc coating on Barbed wire can vary from commercial grade to heavy gal (275 gsm). 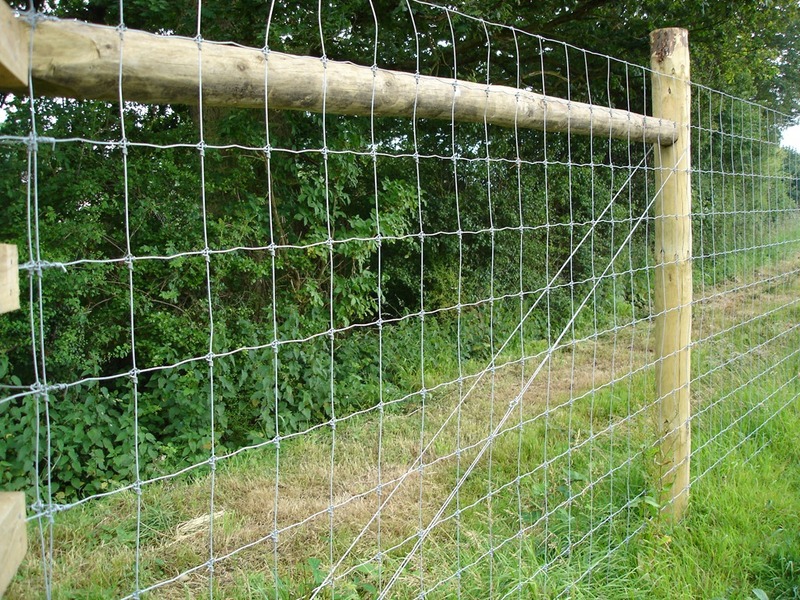 Fence also manufactures PVC coated barbed wire, which further improves the life span of the product. This product is usually offered with both the line wire and barb wire specification of core wire diameter 1.8mm and outer diameter 2.6mm. Chain link fence is one of the most traditional and versatile form of wire fencing. It’s a fence whose fabric is made out of woven wire forming a diamond (rhombus to be precise) shaped mesh. In different colours, it blends well with its surroundings. It finds applications in wide variety of locations. In lighter gauge and bigger mesh sizes, it is used in residential and business areas – swimming pools, parks, gardens, residential building perimeter, demarcation in ware houses, schools, hospitals, etc. In heavier gauge and smaller mesh sizes, it is often used in areas which require more protection against intentional intrusion, and it finds use in high security areas like – manufacturing units, military establishments, data centers, financial institutions, universities, railways, airports, motorways, oil and gas facilities, warehouse perimeter, chemical plants, etc. The reason why chain link has stayed on as a viable solution for all these years is – the flexible fence fabric makes it easier for installation on ground with uneven terrain or steep slopes, and it’s a cost efficient system. Total Fence makes chain link fence in wide variety of specifications to tailor to customer needs. Wire diameter ranging from 1.6mm to 5mm. Mesh size varying from 25mm to 100mm. Zinc coating from 40gsm to 366gsm. Galvanized finish or PVC coated finish. Heights from 0.8mtrs to 5mtrs. Total Fence Products Company Pvt Ltd is the Indian distributor of the international JVA brand of Security Electric Fencing Energizers and accessories. JVA Technologies (Australia/South Africa) draws on over 30 years’ experience in some of the world’s most testing international and local security markets, in producing a product range that satisfies the needs of the world security electric fencing markets ranging from simple domestic requirements, to high security installations. JVA products and expertise are trusted choices for local and international customers as they meet the strict specifications required to secure major contracts such as prisons, airports, power stations, defense facilities and municipalities worldwide. Demarcation - The JVA fence around your property shows you mean business. Deflection - Would be intruders will be deflected to softer targets. 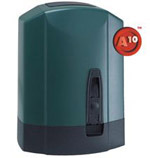 Deterrence - The safe, powerful JVA shock is a strong deterrent to intruders. Delay - The physical barrier will delay an intruder, something they do not like. Detection - The JVA’s voltage monitor warns you of any tampering with the fence. Deny - A well-erected electric security fence will deny entry. Dependable - 60 seconds a minute, 60 minutes an hour, 24 hours a day, 365 days a year, your JVA electric security fence is monitored by an alert, sober, electronic watchman. Every second the JVA energizer discharges a very short-duration, safe, high-voltage impulse down the fence live wire. 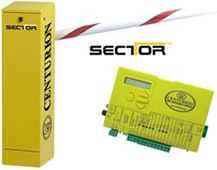 The JVA security fence energizer then monitors the voltage at the end of this live wire, thereby checking that the voltage is being maintained along the entire solar electric fencing line. In the event of a voltage drop caused by shorting, cutting or poor maintenance, the monitor will trigger an alarm, thus alerting you. Manufactured to meet the most stringent international safety standards, the JVA Range is in a class of its own when it comes to features and benefits at an affordable price. The JVA PET100 electric fence energizer makes animal control a breeze. 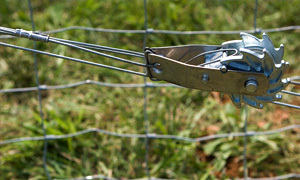 Its small rugged design makes it ideal for strip grazing and pet control, but it also packs enough punch to be great in small permanent electric fence setups. It is an excellent and low cost agricultural – livestock Solar Fence Energizer. *The actual acres or kilometers of fence powered by this energizer depends on your farm fence conditions and therefore varies greatly. The best method to compare energizers is to use pulse output energy (Joules). The JVA Z14 One-Zone Security Energizer with LCD display is a top-of-the-range fence energizer that can meet all requirements from the basic home security fence to fully integrated high profile installations. The fence energizer has a LCD display showing out and return voltages, battery condition and fence programming settings. The unit is fully compatible with the Z-Range keypad and when wired up to a keypad is fully programmable. The energizer can be networked with other Z-Range energizers to synchronise pulses and become a multi-zone group for larger sites where many zones are required. The Z14 can be controlled by a PC or by up to 4 keypads, or one keypad can control up to 14 Z-Range energizers. The JVA Z28 Two-Zone Security Energizer with LCD display is a top-of-the-range high power fence energizer, ideal for installations, where better zone identification is required. The Z28 can meet all requirements from longer wall-top fences to industrial and high profile installations. The energizer has an LCD display showing return voltages for each zone, battery condition and fence programming settings. The unit is fully compatible with the optional Z-Range keypad and when wired up to a keypad is fully programmable. Theelectric fence energizer can be linked with other Z-Range energizers to synchronise pulses and become a multi-zone group for larger multi-zone sites. The Z28 can be controlled by a PC or up to 4 keypads, or one keypad can control up to 14 Z range energizers. The Z28 is unique in that each zone is individually controllable, allowing each to be individually operated and programmed via the keypad. Unlike many other fencing energizers available in the market, a short on one Zone on the Z28 will have no effect on the voltage on the other Zone. The Z28 is in essence two Z14 energizers in one. This means fences powered by one Z28 can be individually armed and disarmed or put in high or low voltage mode. We at Fence, manufacture fence accessories which includes Brace band, Mushroom Headed Bolt, Rail End Cap, Saddle Clamp, Short Winder etc. Fence accessories are very important for a proper fence installation. In many cases, longevity of a fence system is decided by the quality and the proper usage of the right fitting. Total Fencesupplies complete fence systems, including the fence posts. Apart from the regular square, rectangular and circular hollow sections, we also have a few specialized sections for fence panel fitting. Posts are fabricated as per the project requirement, hot dip galvanized and then polyester powder coated. 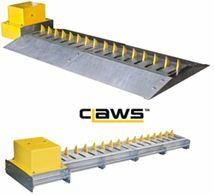 The maximum height of the conveyor is 3.5 meters, which allows pipes to be coating vertically, and thus giving high volume production. Longer pipes up to 7 meters length can be coated horizontally. Wall Thickness of up to 6mm can be easily handled given the capability of the ovens (up to 220 Degree C). 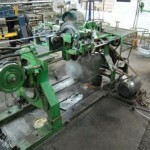 Tubes with dual coating – base layer of epoxy and top coat of polyester can be done. PVC coating of up to 1000 microns can be done. (Total Fenceis the only company in India with the ability to do this coating on a commercial scale – the powder coating line is designed specifically to coat wire mesh and pipes). Both pre-galvanized and post-galvanized pipes can be coated effectively. 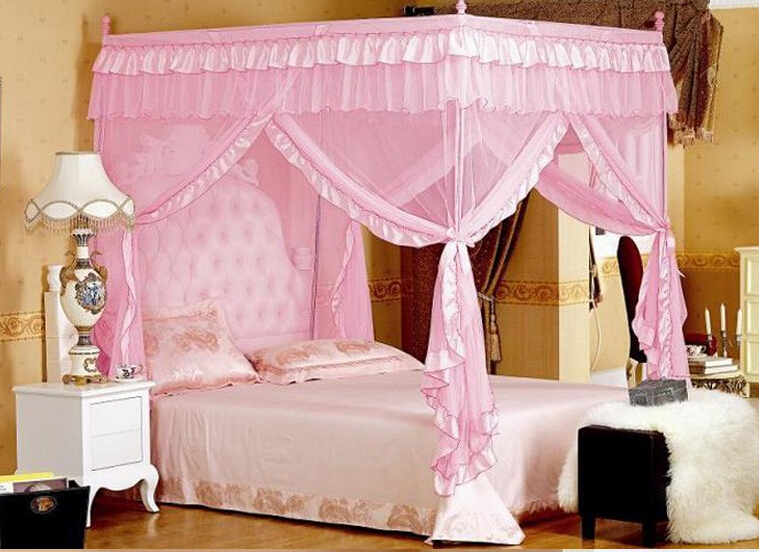 Any RAL shade colour can be applied, given that the quantity is in sizeable quantity. Special attention paid for packing for exports. Gabions are rectangular wire mesh baskets filled with rock at the project site to form flexible, permeable, monolithic structures such as retaining walls for commercial, industrial and road projects. Gabion and Gabion mattresses are trusted, well proven and technically sound solutions to retain earth and reduce erosion. This technique is extensively used around the world. They are also used for bank stabilization, channel linings and weirs. The key to longevity of these gabion structures is based on the quality of the wire used for manufacturing gabion boxes and the correct design aspects. Total Fenceis committed to fulfill both these parameters and provide our customers with finest quality product with technical support as and when required. The assembly and installation of gabion is enormously simple and can be carried out in any environment without the assistance of specialized tools and workforce. Our products are supported by design assistance from qualified Geotechnical engineers who can provide timely technical support. These are blocks made of gabion mesh, which can be filled on the site with rocks, stones, debris and crushed concrete. Mattresses out of gabions are used to provide protection on water courses. As the name suggests, this kind of netting made out of gabion mesh finds application in preventing rocks and debris from spilling. Used in controlling water flow. Gabion structures are capable of resisting any types of stresses, bending, tensile and shear. Gabion structures can accommodate differential settlements without disturbing the structural integrity. The permeability characteristics of Gabion structures eliminate the problems caused in RCC structures, such as soil instability, water logged backfills/foundation etc. Partitions are at every 1 mtr. Tie wire of GI (2.0 mm, 2.2 mm or 2.4 mm) or GI + PVC (2.0/3.0 mm, 2.2/3.2 mm, or 2.4/3.4 mm) coated, generally the quantity supplied is 5% of the box weight. 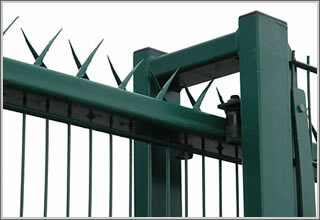 High security Fencing is widely used for its strength, appearance and anti-climb/anti-attack profile. Created from 4mm galvanized/zinc-alum wire, the finger proof mesh format is produced by electrical resistance welding at each intersection. The mesh opening of approximately 8mm x 70mm, makes it extremely difficult to penetrate using conventional hand tools presenting a higher delay factor greater than that of other fencing products. Tamper proof fixings assure that panels cannot be removed from the attack side. Total Fenceprovides complete system, including posts, fittings, etc. Top, bottom or cross rails can be utilized to provide additional strength. For non-military applications, that is for industrial and commercial properties, Total Fencehas designed special posts and done profiling on the panels to reduce the amount of steel as compared to systems used in highest security zones. 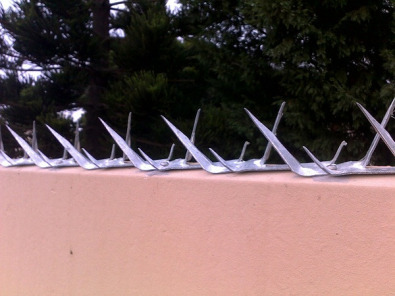 Total Fencesupplies high security fence systems with strong and durable surface coatings. Zinc rich epoxy, Polyester powder, and Thermoplastic coatings are some of the available options. To further increase the corrosion resistance of the system, panels can be made out of heavy galvanized wire, or zinc-alum wire. The design of the high security fence system is such that, system requires no fabrication work on the site, and it is a complete assembly job, which ensures that factory finish is maintained, while installation. Total Fencehas designed this high security fencing system in such a way that minimal components are required to erect the system, and it is a completely modular system. Installation is simple and user friendly. The design allows fast and accurate installation. Some of the typical ways of fitting this system are shown in drawings below. Razor wire is a central strand of high tensile wire, and a steel tape punched into a shape with barbs. The steel tape is cold crimped tightly to the wire. Razor wire is manufactured with a galvanized tape (Zinc coating ranging from 120 gsm to 275 gsm) and Galvanized core wire (diameter: 2.5mm) with zinc coating 90 gsm to 275 gsm). For more critical razor wire applications, stainless steel tape and stainless steel core wire is used. We are India’s leading razor wire manufacturers & exporters. Razor wire in concertina form, the coils diameter ranges from 300mm to 1000mm. Lower diameters usually consist of three clips per loop and higher diameters consist of five clips per loop. Razor Wire Fish-hook Blade is the metal in the middle that has gone through the most gyrations. All hooks have an eye to tie your line to, a sharp tip to pierce the fish’s mouth and a barb to hold it in place. Although there are a wide variety of innovations in point design, it’s the shank & the bend that have changed the most. Razor Wire Long Blade is a vicious product when manufactured of toughened stainless steel blade material. It is usually used for Prison fencing. Extra Long Blade Razors provide maximum frightening effect. 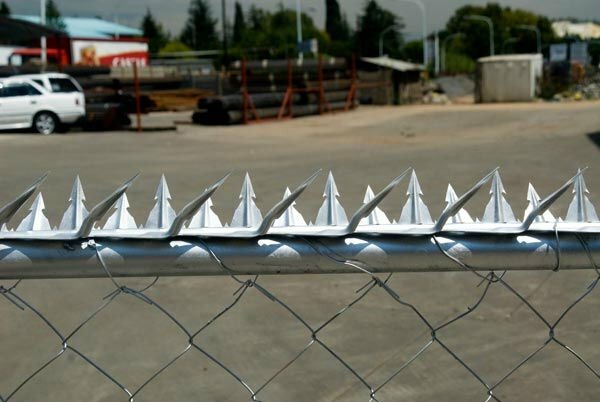 Total fence product has been specializing in the manufacture & export of razor wire fencing and put much energy into the quality improvement incessantly. Razor Wire Tear blade is an hybrid of medium blade and long blade, more vicious than a medium blade and more economical than long blade. Razor Wire Medium Blade is an improvement on the short blade variety at a cost-effective price level. 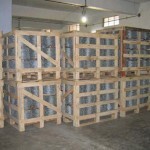 It is used widely for commercial and industrial applications. 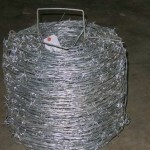 Medium blade razor wire had a much sharper edge and quickly gained the reputation of being an extremely effective low cost security product. Razor Wire Short Blade is the original profile of Razor wire barbed tape, developed for military applications. Although mostly replaced by medium blade, it is still preferred by some organizations. Total Fencealso manufactures razor wire fence in the ‘flat-wrap’ form to different customized configurations. Aesthetically pleasing tree guards can be made using weld mesh panels and springs. Springs apart from allowing for box structure doubles up as posts to fix the tree guards to earth. Weld mesh panels for tree guards are made out of 4.5mm galvanized wire in the pitch size of 75mm x 75mm, and are polyester powder coated, enhancing the appearance and longevity of the product. 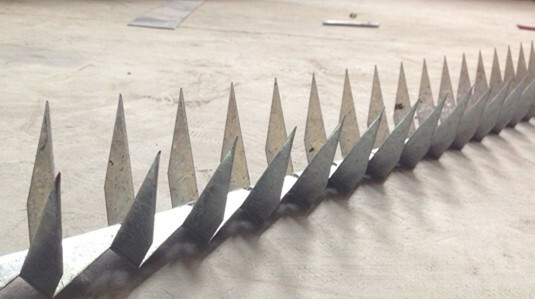 Wall spikes also called razor spikes have a bit like a cactus whose body with a sharp spikes. 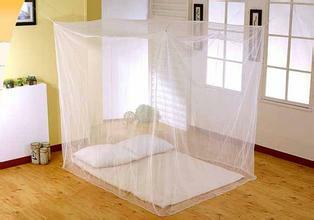 Mosquito Net Fencing A mosquitonet offers protection against mosquito, flies, and other insects, and thus against the diseases they may carry. Examples include malaria, dengue fever, yellow fever, and various forms of encephalitis. 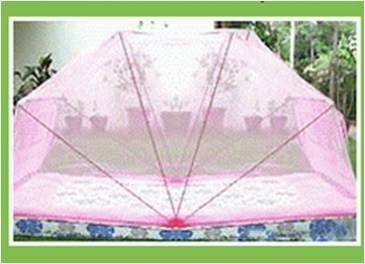 To be effective the mesh of a mosquito net must be fine enough to exclude such insects without impeding visibility or the flow of air unacceptably. unico fence is an innovative welded mesh fencing system, which requires NO NUTS, BOLTS or CLAMPS for installation. 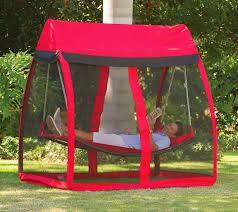 It merely comprises of three components – welded mesh panel, profiled post and post cap. Its aesthetic appeal makes it the best fencing solution for residential fencing, school perimeter fencing, commercial complex fencing, parks and garden fencing, walking pavement fencing etc. Today, unico fence Fence has been successfully installed at many gardens, schools, walking pavements, residential buildings/apartments & commercial premises. Long life due to good surface coating. Dual coated (Epoxy and polyester powder). Parks, public spaces and government buildings. Wet cast, steel reinforced concrete fence posts which are suitable for domestic panel fencing. Concrete Slotted fence posts are the long lasting alternative to timber posts as each post has four internal steel reinforcing bars. Concrete fence posts provide strength and durability to your fencing and are not susceptible to rot in the ground. All of our fencing panels will fit into the slotted fence posts. Prices exclude Value Added Tax (VAT) which will be applied to all orders at the rate in force at the time of placing the order. Set fence posts in fast-setting concrete if you're planning to leave the fence in place for a long time or if you have very loose, sandy soil. First dig the holes using an auger or a post-hole digger. Plan to set at least one-fourth to one-third of the fence post underground, and dig the hole accordingly. Then set the fence post in the hole. Once you set the next post, you'll need to measure to make sure the same length of post is above ground for all posts. Pour 6 in. of gravel around the fence post and then top with concrete. If the concrete is too loose, use braces to keep the post upright. Check that the post is flush with the string line and plumb. 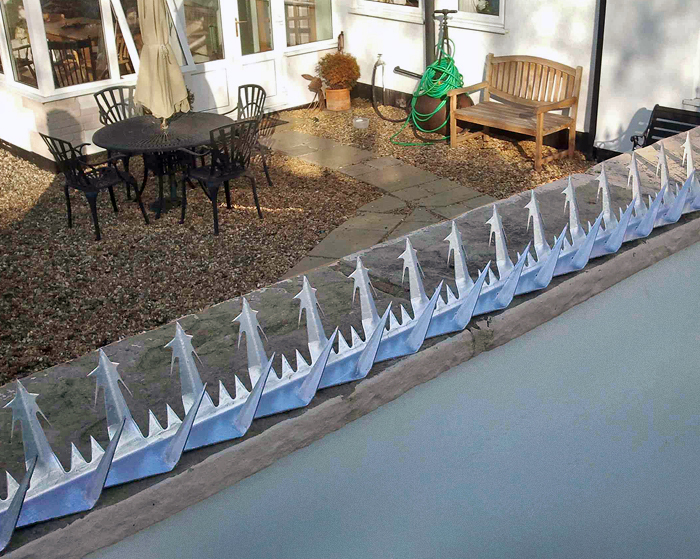 It's best to let the concrete cure for three or four days before attaching fence rails, fence panels, or chain link. Make sure the concrete is hard before attaching anything that puts weight on the posts. Specifically designed for protecting gardens, Garden-Net Fence with Pocket-Net technology features a unique bitter tasting material (non-toxic) which helps deter small animals from chewing through the fabric. 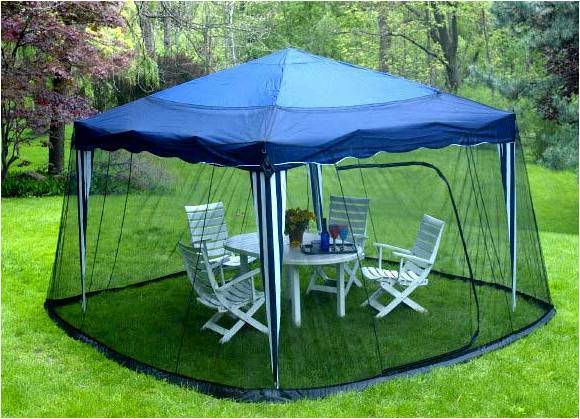 Green-Net Fence, with the patented Pocket-Net system, features built-in pockets in the fabric which are located every three inches. Each roll of Green-Net Fence includes posts and post caps as well as detailed step-by-step instructions to provide simple, pain-free set up. Constructed with UV treated high density polyethylene, this flexible and long lasting fabric can be reused - making it an attractive solution for most residential fencing needs. Volm's Green-Net Fence is Available at Mills Fleet Farm, Stein's Green and Gifts, Pintsch's True Value Hardware, Dundee Nursery, Agri-Flex and participating Hardware Hanks, Trustworthy and Do It Best stores. Total Fence manufactures and supplies perimeter fencing made out of steel. That defines our core competency. Total Fence's foundation was laid in 1998 in a small shack in the suburbs of bustling city of Mumbai. It was a small setup, with one chain link weaving machine.